Automotive issues remain sticking point between Mexico, U.S.
WASHINGTON — Canada's foreign minister got a detailed explanation Thursday about why there might only be a few days left to get a NAFTA deal in 2018. Chrystia Freeland attended a discussion with top U.S. lawmakers on Capitol Hill. They included the speaker of the House of Representatives, Paul Ryan, and Kevin Brady, the chair of the House committee that oversees trade legislation. They shared their view of the so-called fast-track law, which sets the rules for votes on trade deals. The prevailing view in Washington is that it would likely be impossible to get a vote this year on any agreement reached after around May 18, and if it doesn't happen this year a new Congress will consider the issue after the midterm elections. "The rules are set out quite clearly in the ... legislation," she said later. "It was certainly useful for me to hear directly from some of the people who actually wrote it, how they see that process playing out.... We discussed how the ... [fast-track] legislation could come into play." She said lots of progress has been made this week, and negotiators are closer to success — although the talks have been mostly seized with the issue of autos, giving little space to hard negotiations on other top files. The autos issue, in particular, has pitted the Trump administration against Mexico. The Canadian government has offered broad suggestions throughout the process, and has also voiced some concerns about the specifics of the proposed new rules, but is less of a litigant on this issue than the other two countries, who have clashed with different visions of the future of the sector. 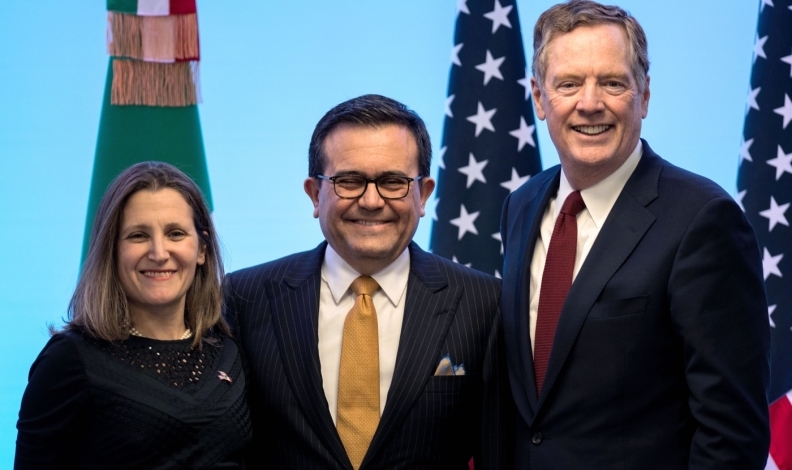 For the second time this week, Freeland did not meet with U.S. trade czar Robert Lighthizer in person Thursday, as he worked on the auto differences with his Mexican counterpart. They have continued speaking by phone. Freeland wasn't ruling out an imminent deal just yet: "Very meaningful, productive work is being done this week. We have made a lot of progress since Monday," she said. "We are definitely getting closer to the final objective."